Practical tips to improve your emotional resilience and develop a stronger sense of wellbeing. 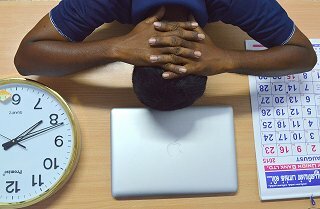 Information about stress; what it is and how to handle it better, at work and at home. Almost all jobs have some element of stress – even if you love your role! Reducing work related stress is very important as over time it can be harmful to physical and emotional health. The Health and Safety Executive define work related stress as ‘the adverse reaction people have to excessive pressures or other types of demand placed on them at work’ – the key element of this definition is the phrase ‘excessive pressures’. Taking control of ‘pressures’ can help reduce and even irradiate stress. We're an Award Winning Blog! Does knowing your stress personality type help you cope better? Images used on this blog are stock images and posed by models. Yorkshire Stress Management is a trading name of Yorkshire Therapies & Training Ltd.
We offer one to one stress management coaching along with seminars and workshops for employers on Yorkshire Stress Management.